Hi, I want to share my new build. Quanum Spider 700 frame with Multistar 3508 268KV motors, 15 inch props and Multistar 20A Slim V2 ESCs. 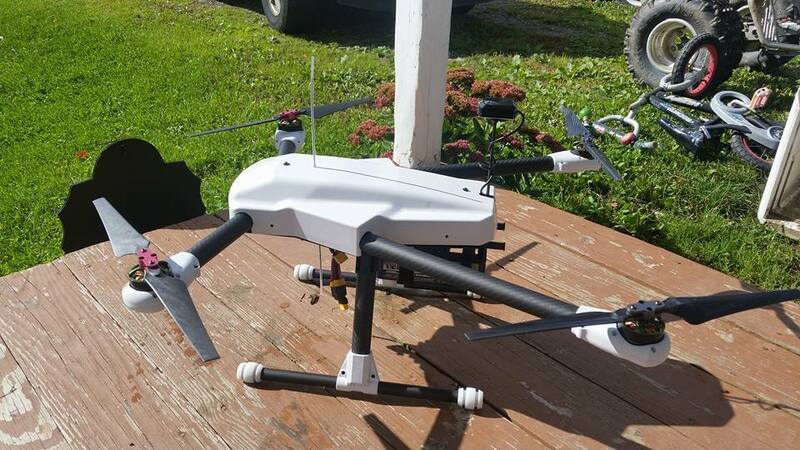 After I get comfortable with it in the air I want to add a LIDAR-Lite Rangefinder and a camera gimble. It looks really nice. Are those folding props? Any video showing it flying? Yes, those are folding props, 15 inch. I’m currently only getting 4-5 minute flight times with 6S 4000mAh batteries. I think I’m too heavy for the 268Kv motors to be efficient because my hover is at 75-80% throttle. I’m going to order 400-500Kv motors and see if that helps. I will try and take a video tomorrow if the weather permits. It’s been windy lately and I don’t want to crash it. Here is a video I took flying the Quanum Spider 700. Sorry for the vertical video as my father was recording. Very stable and with a 6S 5200 mAh battery I get around 20 minutes. I ended up using Quanum MT Series 3510 630KV motors and with 6S the hover is around 14 Amps. @slackr31337 really good build, nice work. Really nice and clean build! Did you have any trouble tuning with the FC all the way to the rear? 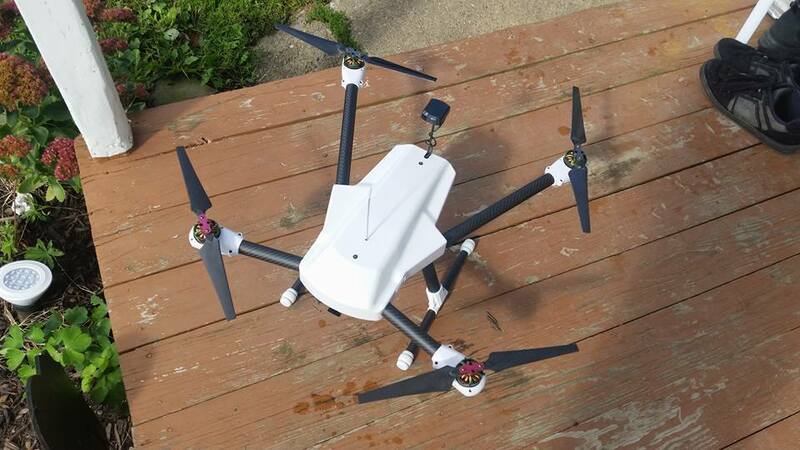 I assume you used the “V” configuration in Arducopter, or did you use the standard quad configuration? Nice props and a very nice build. Those props and folding adapters are from HK I assume. I am enjoying my Quanum Spider 700 build so far, thanks for the post. I did use the V configuration in Arducopter. The props are the folding adapters from HK. I also switch to carbon fiber 15 inch props and they work great. The location that I put the FC is actually the middle of the frame. If you take string from motor to motor the dead center is over that space in the rear. I used this video for reference when setting up my buld. Thanks Robert. I used the same technique and ended up with a point towards the front of the open space. My issue might have been related to using a Pixhawk FC from a previous project. I have since cleared PIDs back to the default and will give it another try. I experienced severe toilet bowling, even though the compass calibrated without a problem. My concern is that HK used a quad configuration in the video, and wondered if the Arducopter V configuration somehow compensates for a different COG. I am very pleased with the materials and construction of this kit. This is a very light weight and sturdy frame. The motor mounts appear to be quite durable and strong. This compares very favorably and I think slightly better than several Tarot frames I have built. Did you get your carbon blades from HK as well? Do the 15" blades completely clear the canopy? My 15" carbon fiber blades extend an inch or so over the canopy. I have not experienced any toilet bowling or calibration issues. I did get the propellers from HK and they do clear the canopy. The front two props hang over the canopy about an inch but it is not a problem. I can post pics. Thanks for the detail. I’ve got this same frame on the way and I’m struggling with the ESC and motor choices. But I’m worried that this might be underpowered. Knowing what you know now about this frame, what would you pick for ESC amperage and motor kv? I’m using Quanum MT Series 3510 630KV Brushless Multirotor Motors and they offer good power/flight time using 6C batteries. I have my frame loaded with a raspberry pi camera and 2-axis gimbal w/camera and I get about 20-24 minutes of fly time. I’m also using 15 inch carbon fiber folding propellers. I used the QBrain 30A on another build and once you get the throttle calibrated it works good. The only thing with the Spider frame is that you will probably have to extend the motor wires to reach the motors. 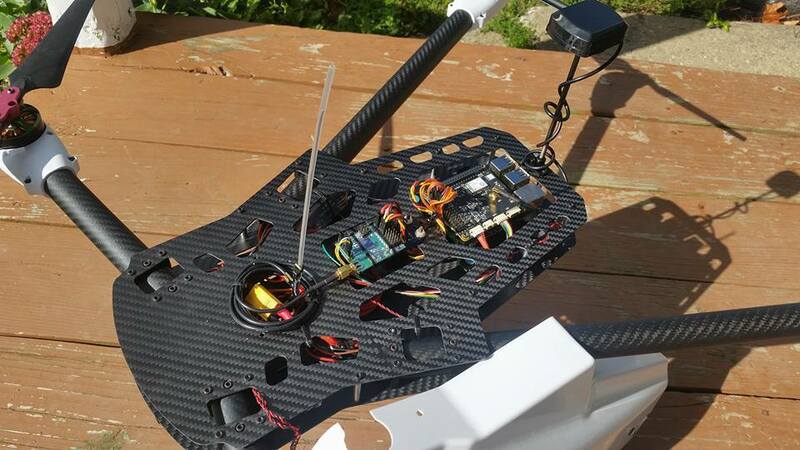 I ended up using Turnigy Multistar 20A Slim V2 ESCs and they fit right in the arms of the frame. I also had to get a different power module for the Navio+ so I could use 6C. Thanks for the detail, that’s very helpful. I might upgrade to the 25A QBrain instead of the 20A, but I’ll probably stick with the 580kv motors because the 630kv are out of stock. These will be paired with 12 inch propellors. I’m building on a Navio2 with a raspberry pi 3 and the pi camera. Once I get it working well I’ll likely take on a gimbal as well. How much does your whole rig weigh? Have you got a action cam on your gimbal? Or the RPi camera? Another question: did you use the 3d print antivibration frame? 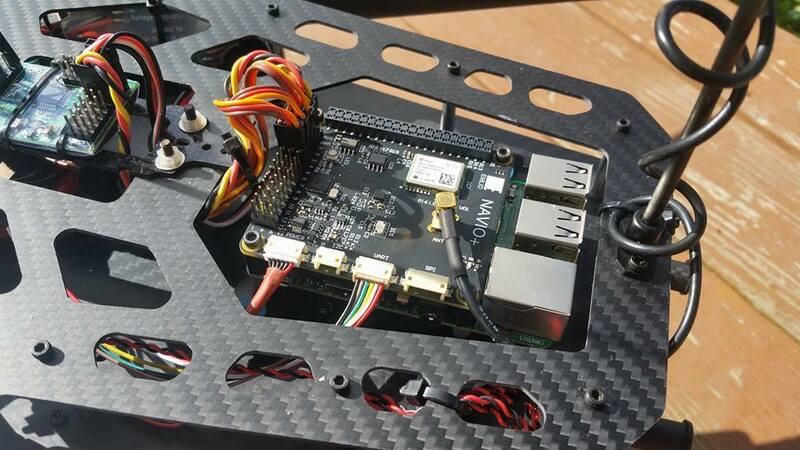 I have exactly the same frame and I am just doing flight testing and having a few issues with stability. Did you have to play with the PID values much to get your spider flying stable? I am building a spider 700. Was wandering what the total payload carry weight is? I think max flight weight is up to 5 kilos.